There are numerous sources of error and uncertainty in modeling and simulation. 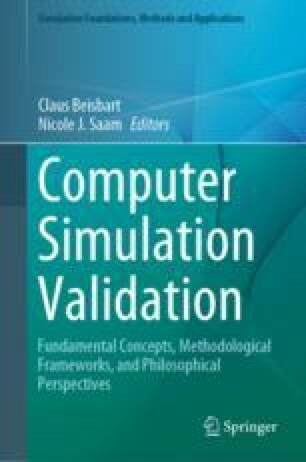 Some of these sources arise because of inherent randomness existing in the system of interest, while others arise due to incomplete knowledge on the part of the person conducting the modeling and simulation activity. Other sources arise due to the fact that all models are imperfect reflections of reality. Finally, when models are sufficiently complex to require approximate numerical solutions (for example, when they take the form of partial differential equations), then the numerical approximations provide an additional source of error and uncertainty. This chapter discusses these different sources of error and uncertainty as well as methods to characterize and treat them. Techniques for rolling up these different uncertainty sources into a total prediction uncertainty are briefly discussed.